The game tipped-off just like any other high school boys basketball game on a windy and chilly Friday night in January across the state. Halfway, the opponent of the Dadeville Bearcats, scored the first basket to take an early 2-0 lead on the Cardinals’ home court. After that, though, the Dadeville steamroller kicked into high gear, as the Bearcats used a 19-0 run to lead 19-2 at the end of the first period, and 34-8 at halftime. Dadeville cruised to yet another blowout victory, this one by a 63-22 count. The Bearcats, who at press time sported a perfect 8-0 record and the No. 2 state ranking in Class 1, are on a mission. Dadeville posted a 30-3 record last season, which included the school’s second trip ever to the Final Four. However, the Bearcats were shell shocked in the state semifinals by defending champion Scott County Central. Dadeville got off to a slow start, trailing 22-8 at the end of the first quarter, and 53-24 at halftime. Scott County Central, which is currently perched above Dadeville with the No. 1 ranking in Class 1, cruised to an 86-53 victory. 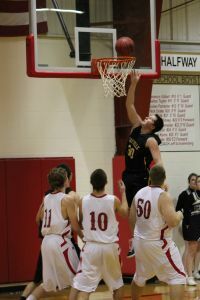 The Braves notched their second-straight state championship the following night with a 96-47 demolition of Pilot Grove. Heading into the 2010-11 season, optimism was high for Dadeville, but the big question mark was the loss of three seniors who had spearheaded the deep state tourney run. This season, the Bearcats would be without the services of All-State center Brock Toler, as well as starting off guard Cole Long, an All-Conference and All-District player, and the team’s sixth man in 6’5” 250-pound Andrew VanHooser. 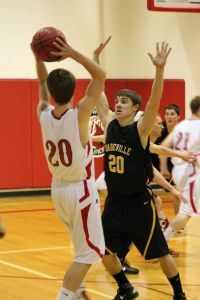 Dadeville participated in basketball camps over the summer and played dozens of games, many against much larger schools. The Bearcats held their own, and that momentum has carried over into this season. 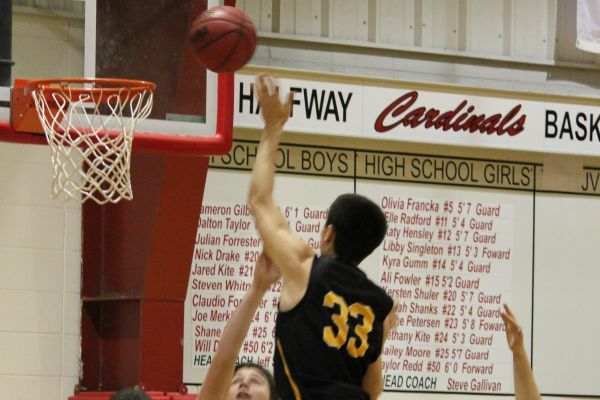 Dadeville opened the season by manhandling the competition at the Humansville Tournament. The Bearcats defeated Everton 92-36 in the first round, and Hermitage 69-33 in the semifinals, before winning the tournament title with a 95-62 victory over Fair Play. Dadeville followed up the Humansville Tournament with five more regular season victories over Everton (94-34), Golden City (64-35), Hermitage (80-29), Fair Play (75-52), and Halfway (63-22). The Bearcats are currently averaging 79 points per game, while giving up less than 42 points per contest to their opponents. Dadeville is beating its opponents by over 41 points per game on average, which leads to the question of how the Bearcats can improve by playing in blowout after blowout. Linehan identified the team’s strengths as hustle, intensity on defense and the ability to get up and down the floor. However, he said that the team needs to improve its rebounding, and also needs to slow down and execute the offense at times. The senior class had posted 73 wins entering this season, meaning that the 100-win plateau is within reach. The Dadeville steamroller is rolling along nicely so far this season, and has its sights set on a return to Columbia and the State finals. “We hope to keep this rolling,” said Burgmann.